Jamie Roberts has made 10 good tackles so far this game. Billy Twelvetrees has kicked a conversion. Spellbinding play by Jason Woodward is finished off with a try. The defensive line has been broken as Jason Woodward goes through the gap. 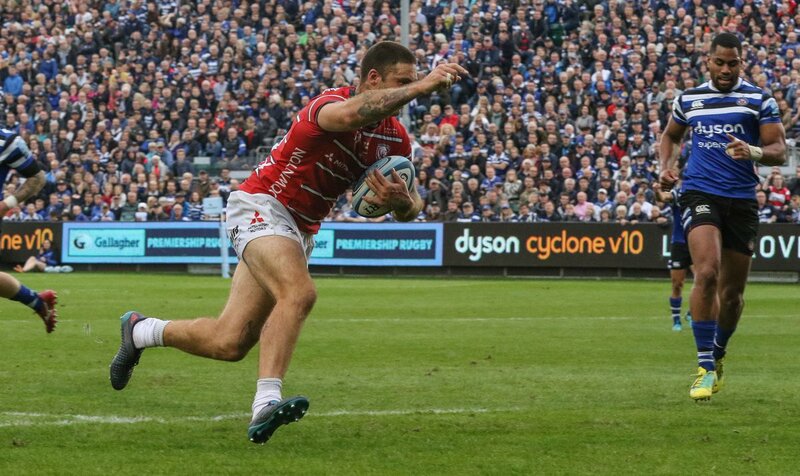 Silky skills by Gloucester ends with a try for Matt Banahan. Gloucester have won 100 rucks so far this game. The Bath supporters go wild as Rhys Priestland successfully kicks the conversion. What a run here by Henry Trinder as they gets over the gainline!. Jackson Willison played a key part in that try. Elliott Stooke makes the break as the defence re-enacts the parting of the red sea. A wonderful passing move by Bath is finished off by Elliott Stooke. Lewis Ludlow has made 20 good tackles so far this game. 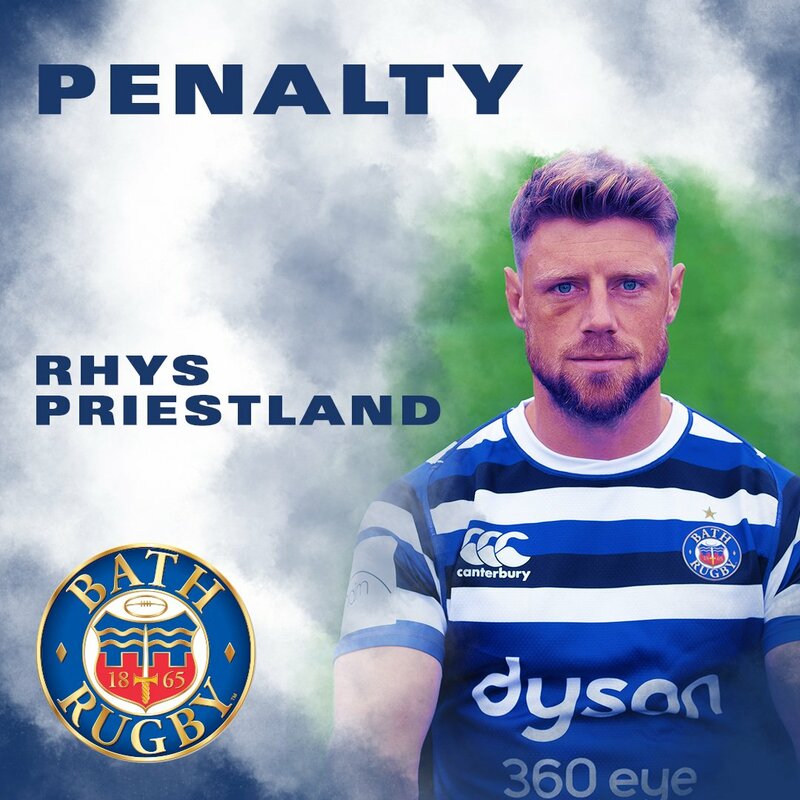 Rhys Priestland kicks the penalty. Fabulous play by Bath has led to Semesa Rokoduguni being able to wriggle through a gap. Billy Twelvetrees has kicked a penalty goal. Trouble here as Jason Woodward breaches the defence. Gloucester decide to make a substitution, with Ben Vellacott getting some game time. Gloucester decide to make a substitution, with Callum Braley being replaced. This is dangerous for the defence as Ed Slater bursts through to advance the Gloucester attack. Bath make a substitution with Chris Cook coming on. Bath make a substitution with Max Green coming off. The touch judges raise their flags as Rhys Priestland kicks the conversion. Bath are stopped just a few metres from the try line but Tom Dunn picks up from the base of the ruck to score the try. A gap opened in the defence and Semesa Rokoduguni took full advantage. Bath sub Rhys Priestland comes onto the field. Freddie Burns departs for Bath. Mark Atkinson comes on for Gloucester. Charlie Sharples leaves the field. The defensive line has been broken as Henry Trinder goes through the gap. Gloucester decide to make a substitution, with Jake Polledri getting some game time. Gloucester decide to make a substitution, with Ruan Ackermann being replaced. Taulupe Faletau has made 10 good tackles so far this game. Tom Dunn has made 10 good tackles so far this game. Lewis Ludlow has made 10 good tackles so far this game. Ruan Ackermann has made 10 good tackles so far this game. Freddie Burns adds the two points for Bath. Tom Dunn scores the try from close range. Freddie Burns does the business as his conversion attempt goes over. That's a great try assist by Freddie Burns. What a run here by Semesa Rokoduguni as they gets over the gainline!. A series of passes by Bath results in a try for Semesa Rokoduguni. Mariano Galarza has made 10 good tackles so far this game. A stunning solo try from Callum Braley. Gloucester make a substitution with Josh Hohneck coming on. Gloucester make a substitution with Val Rapava Ruskin coming off. Billy Twelvetrees converts the try. 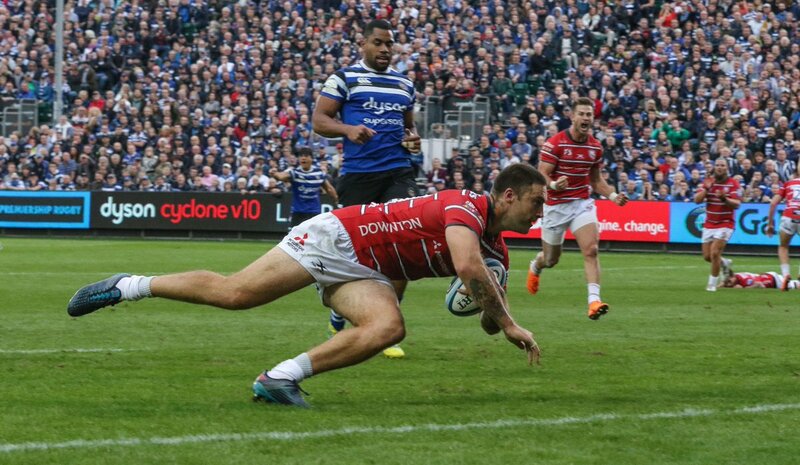 Danny Cipriani sets up the try. Great hands by Gloucester leads to a try for Ruan Ackermann. Ruan Ackermann makes the break as the defence re-enacts the parting of the red sea. Gloucester sub Danny Cipriani comes onto the field. Elliott Stooke comes on for Bath. Matt Garvey leaves the field. 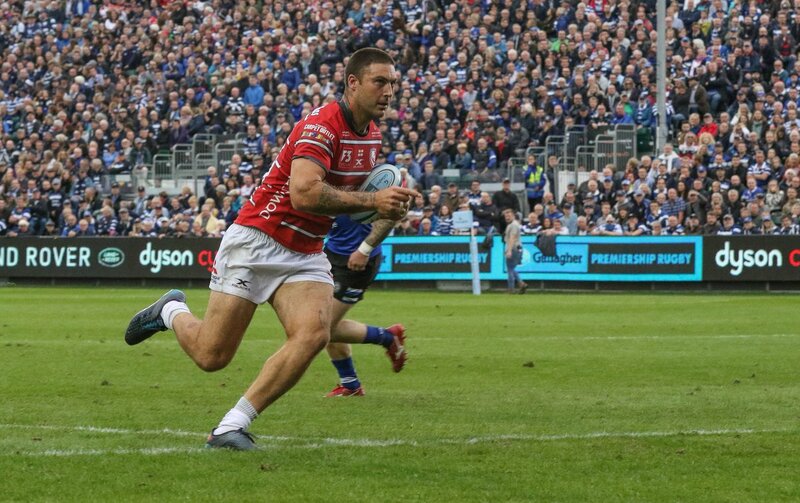 Trouble here as Matt Banahan breaches the defence. This is dangerous for the defence as Callum Braley bursts through to advance the Gloucester attack. The defensive line has been broken as Danny Cipriani goes through the gap. @RuanAckermann reacts to Saturday’s 31-31 draw against @bathrugby at the Rec. We will update all supporters when we can, and when appropriate. 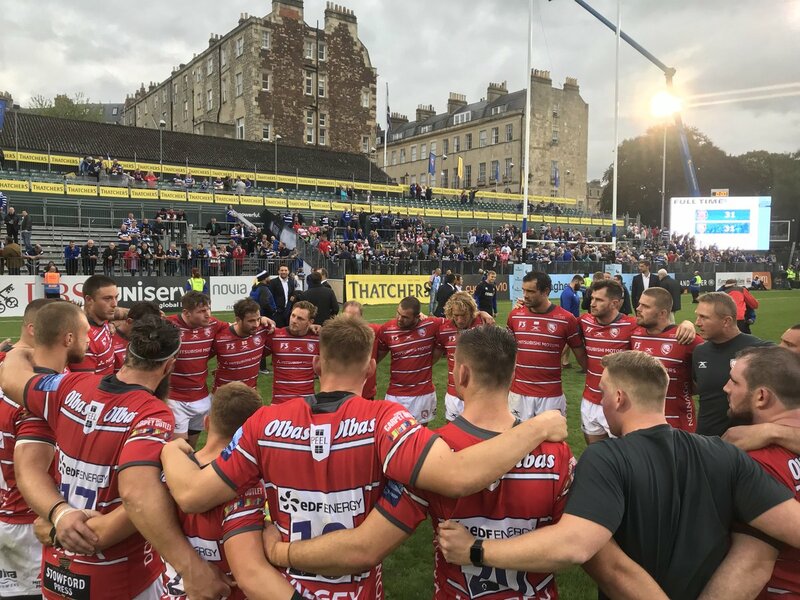 Thank you also to the travelling supporters and wishing @gloucesterrugby all the best for the season until we meet again! 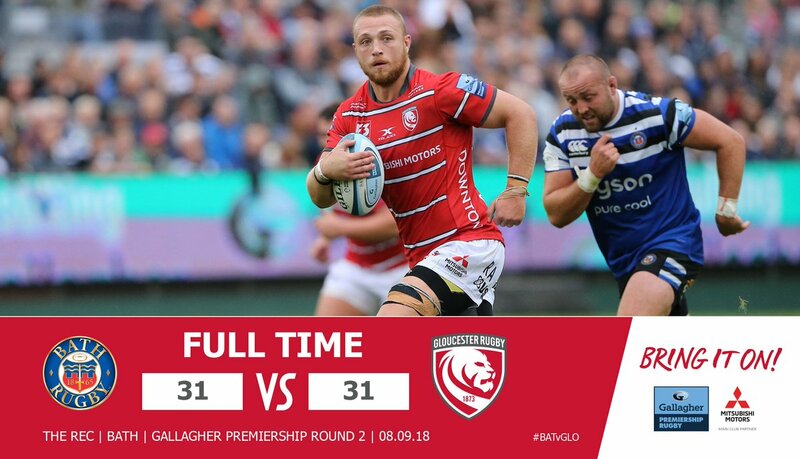 Full-time | @bathrugby 31-31 @gloucesterrugby - a thrilling encounter at the Rec. @col_smith 24-24 now. Small typo there!